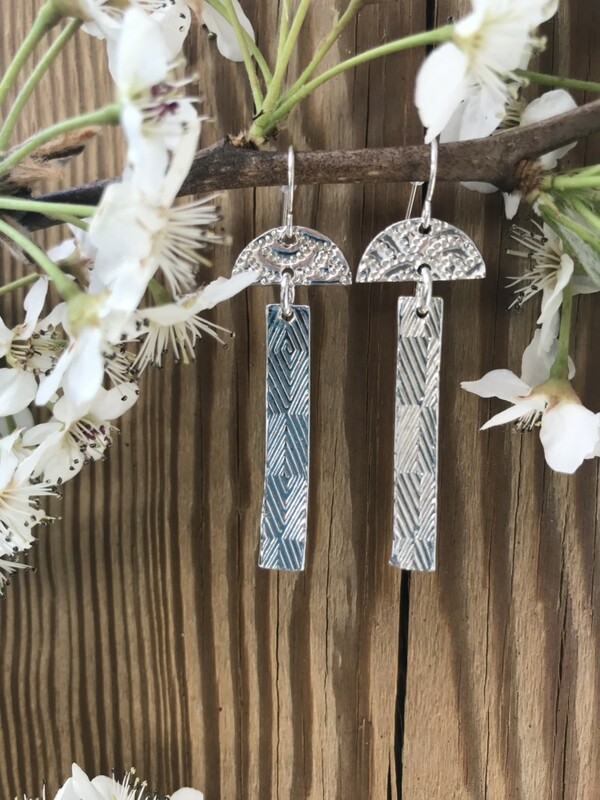 Fine Silver Waterfall Earrings on French Sterling Ear Wire. 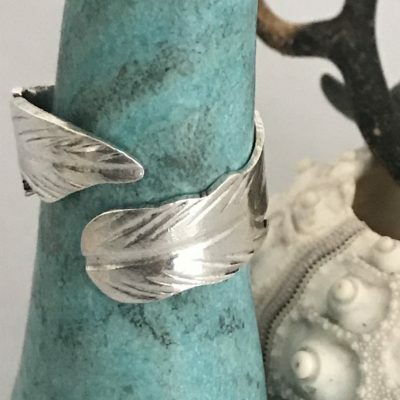 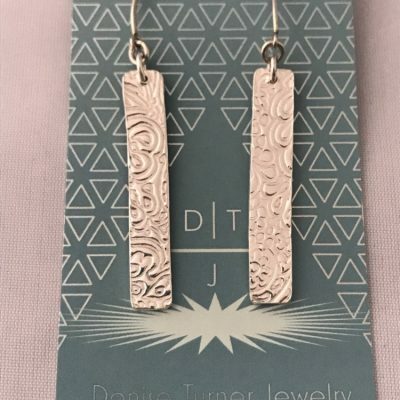 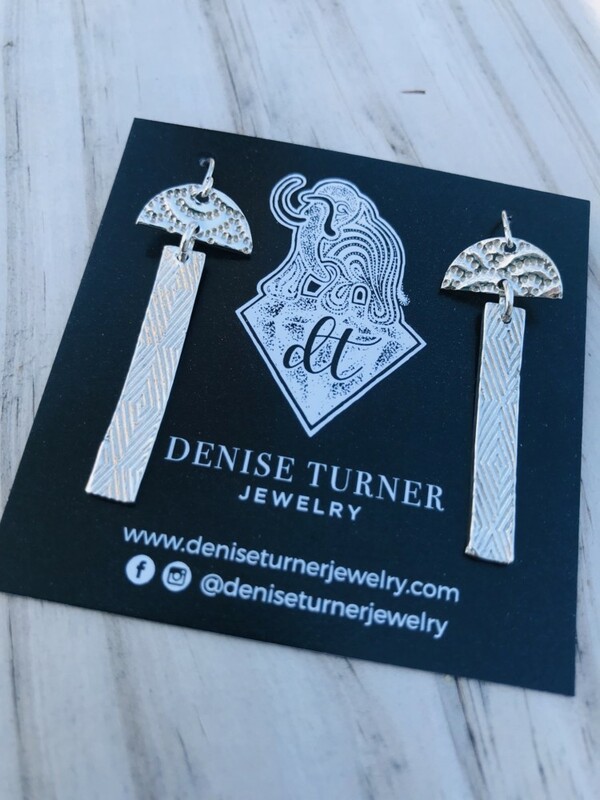 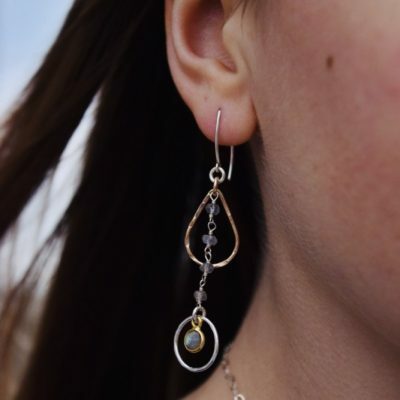 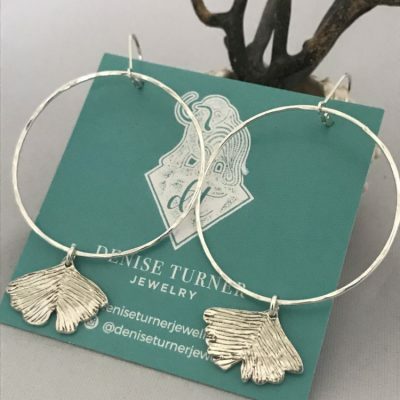 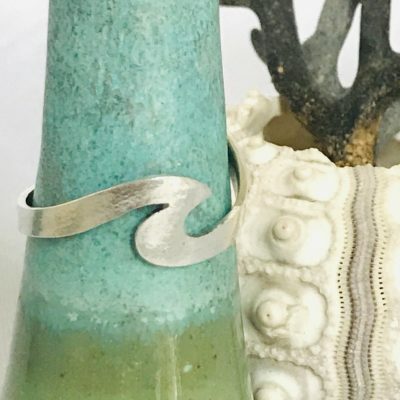 Fine Silver Textured Earrings, a half moon waterfalls down to a silver bar. 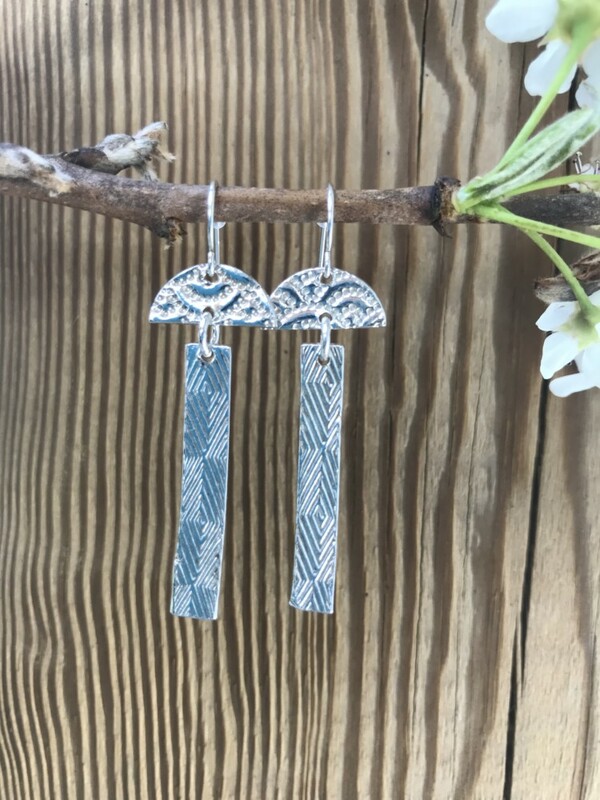 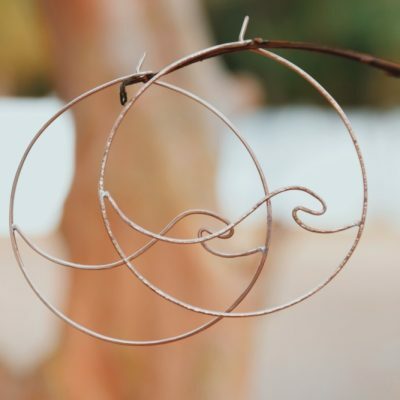 These are a unique and fun design and hang from a pair of sterling French hook ear wires.